Swimming is a sport that is not just enjoyed and dominated by men athletes like Michael Phelps but it is a sport played by women as well. Take Jenny Thompson for example. 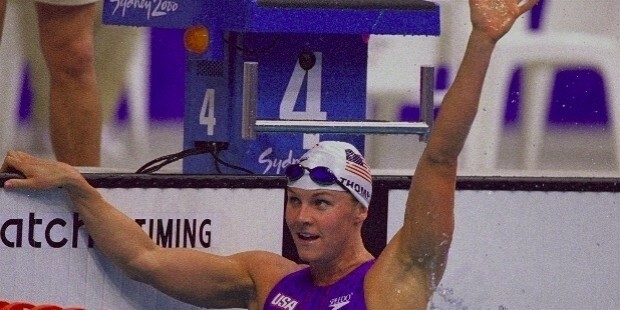 Jennifer Beth Thompson is one of the most decorated Olympians in the swimming category and a twelve-time gold medalist. Family and friends often call her by her nickname “Jenny.” She started competing at an early age. Starting with indoor swimming, Thompson has competed in many tournaments mainly focusing in the butterfly and freestyle strokes. As a swimmer, Thompson was able to set her own world records for 50-meter and 100-meter freestyle. She has also joined Team USA and won the 4x100-meter freestyle team relay. She has fifty-three gold medals from all the games she participated in, twenty silver, and eight bronze medals. On top of that, she also received the Honda Sports Award for swimming and diving in the 1994-1995 series. Furthermore, being the decorated swimmer that she is, Thompson can be seen with some luxury swimwear while competing for her endorsement. Overall, Jenny Thompson is an amazing swimmer with a superb career during her time. Jenny Thompson was born in Danvers, Massachusetts on February 26, 1973. At the age of seven, she started her swimming lessons at a nearby country club swimming pool in Groveland, Massachusetts called Cedardale. Between the age of 8 and 10, she swam at the Danvers YMCA pool and when she was older, between 10 and 12, she swam at the Andover-North Andover YMCA. Her training sessions were guided by her coaches Amy and Mike Parratto. At fourteen, she started her international career by participating in the 1987 Pan American Games. She won the 50-meter freestyle category but only landed the third place for the 100-meter freestyle category. In 1991, she finally won her first world championship competition together with the United States national team. A year after, she was able to compete in Barcelona, Spain for the 1992 Olympics. During the tournament, she was able to set a world record for the 50-meter and 100-meter freestyle category. For her degree, she attended Stanford University and has been a part of the Stanford Cardinal swim team. She participated in NCAA competitions as well as in Pacific-10 Conference tournaments. 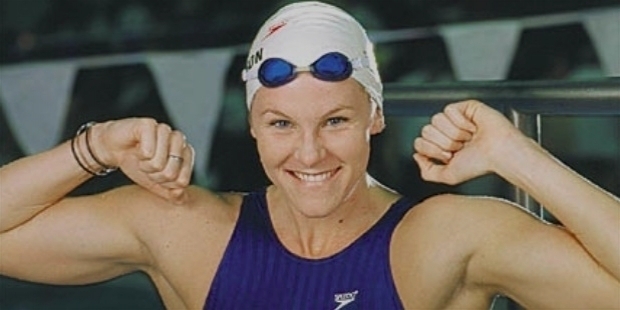 With her prolific performance, she was awarded the Oustanding College Female Swimmer of the Year during the Honda Sports Award for Swimming and Diving of the 1994-1995 season. While she was still in the university, Thompson continued to be a part of the United States national swim team. Not only did her name become a household name for international swimming, but she also made headlines in the NCAA division. Her collegiate team is considered to be one of the most dominant teams in the history of NCAA swimming. To prove herself and her abilities, she trained hard to earn her nineteen individual and team titles. Things took a different turn for her in the 1996 Olympics. She swam poorly which hindered her from participating in any individual tournament in Atlanta. However, she bounced right back in the team category where she won a gold medal for the 4x100-meter freestyle, 4x100-meter medley, and the 4x200-meter freestyle. In August of the same year, she swam alongside the United States Finswimming Team in Hungary for the Eight World Championship. The following years, Thompson continued to build herself a good career by winning eight more titles in the world championship. Three of those was a successive win in the 100-meter freestyle category. Apart from those wins, she also led the U.S. National team in defending their titles. She took the role of the anchor and swam in the 4x100-meter butterfly relay, freestyle and medley. Her records were so phenomenal that she was able to set new world records. 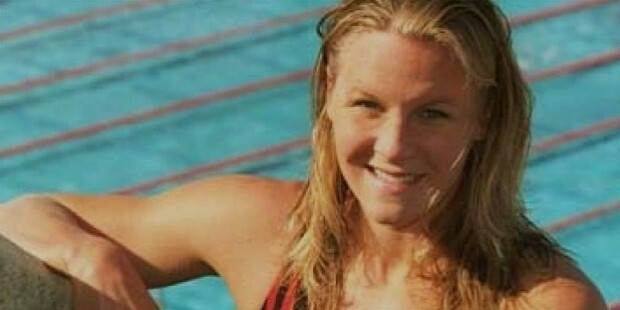 After her years swimming for the Stanford Cardinals, Thompson laid low in competitive swimming. She did participate in the 2000 Olympics with ten medals on her bag and at the same time twelve gold medals in the World Championships. In 2002, she competed in the Pacific Swimming Championships and won five medals. While in 2004, she joined the U.S. national team as the anchor of the team during the 400-meter freestyle relay. She won a silver medal for her national record of 3:36.39. She also received another silver medal for the 4x100-meter medley relay. Needless to say, she had a high record while still active in the sport. Perhaps one of the most unforgettable moments of Thompson’s career is her record-breaking time for the 100-meter butterfly which was 56.56. This was the fourth time that she has broken and set a new world record. Her phenomenal three in a row wins during her time in the university was also a record to beat too by many rising swimmers who wanted to follow her path. Throughout her career, she has set many world records and broke some as well, replacing it with her own amazing time. After her retirement from swimming competitions, she garnered a total of twelve Olympic medals, fourteen World Championships (LC) medal, eighteen World Championships (SC) medal, thirty-four Pan Pacific Championship medal, and three Pan American Games medal. All in all, she has eighty-one medals in her record. On top of that, she was named as the 1998 Female World Swimmer of the Year, 1993, 1998, and 1999 Female American Swimmer of the Year, and the 2000 Women’s Sports Foundation Athlete of the Year. Thompson continued her advanced studies in 2001. She enrolled at the Columbia University College of Physicians and Surgeons. She completed her medical degree in 2006. Between the years, she had a residency at the Brigham and Women’s Hospital in Boston, Massachusetts with a specialization in anesthesiology then had a fellowship at the Children’s Hospital of Boston for pediatric anesthesiology. On September 5, 2010, she married Daniel Richard Cumpelik. A few months before her wedding, two men came at her with the intention of stealing her scooter. Fortunately, she was able to fight off the assault of her attackers. These days, she is working as an anesthesiologist at the Maine Medical Center in Portland, Maine as a member of the Spectrum Medical Group. She is also a part of the Swim Across America Organization as a volunteer celebrity swimmer. Despite not being active in the competitive arena, Jenny Thompson will always remain as one of the famous names when it comes to female swimmers.